There are times when even the most devoted employee pushes themselves to the point of exhaustion while at work, and they nod off. While it’s not the most desirable situation to find yourself in, it does occur from time to time. If you find yourself in this embarrassing situation, it may do your situation good if you send an apology letter as soon as possible. 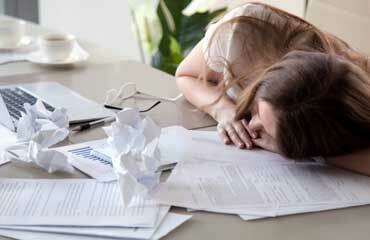 Mention what caused you to fall asleep at your desk, if the reason is sound, it may make your situation a bit better. Please accept my sincerest apology for sleeping on duty last Sunday evening, during the 11 to 7 shifts. I realize how important it is for someone in our profession to present a professional appearance at all times. My actions were very unprofessional and as a result caused you a great deal of distress. I am terribly sorry that you were left in a state of disappointment due to my actions, which were totally preventable on my part. I cannot even begin to state the sadness with which I compose this letter of apology to you, knowing the heartache, which was caused, and the embarrassment which you and the company have experienced. Thus, I hereby announce that it was completely my fault. I am the only one to blame for this travesty which occurred at my work station. No one else can claim responsibility but myself, and I’d like you to know that I’ll do whatever I can to make things right. While it is no excuse, this occurred because I had been up all night attending to my daughter who was having an asthma attack. As my wife was working the night shift, I had no choice but to stay up with my daughter all night. This put a crimp in my sleep schedule, so much so that I fell asleep on the job the next day. I promise to you that this will not happen again, I will do everything in my power to ensure that if this rises again, I’ll have a trusted member of the family come and take over the situation so my work responsibilities will not be disrupted. Please contact me at any time of the day or night if there is anything else, I can do to regain your trust. I am hoping beyond hope that the employee/employer bond has not been broken and that I can again, regain your trust.